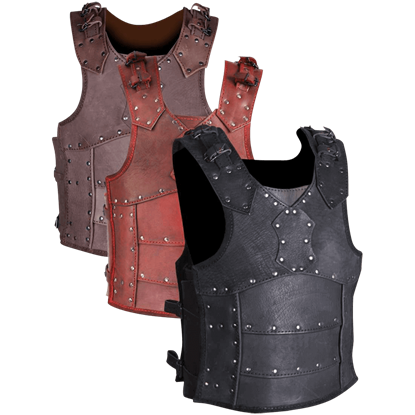 The Albrecht Tassets are a great addition to any set of light combat armour, medieval outfit, or LARP ensemble. Made of high-quality leather and suede, these tassets are adjustable for a versatile and comfortable fit. The wide suede belt of this armour piece is fastened in the front with two buckling straps, while a leather strap in the back can also be adjusted for a custom fit. 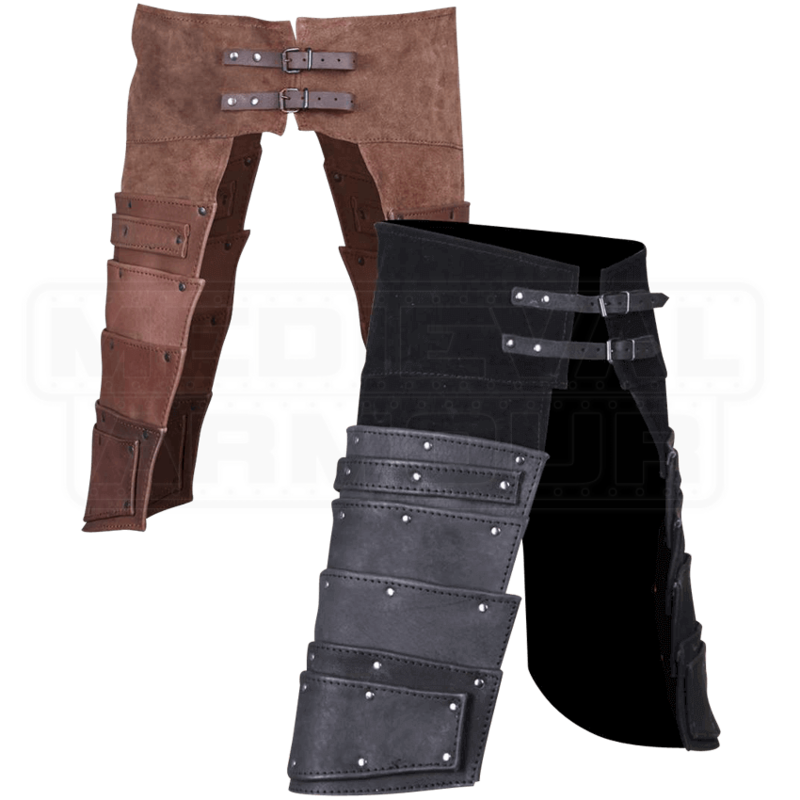 Protective leather hangs down from either side of the tassets, ideal for guarding the outer portions of your legs during light combat. They also feature a layered construction held together with sturdy grommets. 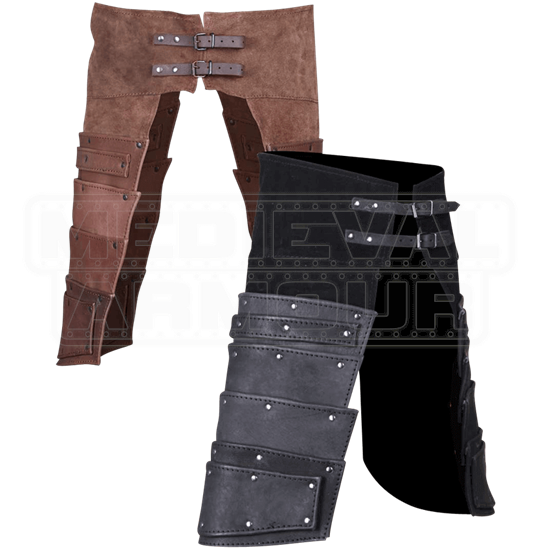 Available in a variety of shades, the Albrecht Tassets are a must have for all wearers of leather armour.